I don't know about you but I hate to throw away all those gift boxes at Christmas so thought I would re-vamp one or two to keep my crafty goodies in for the New Year. 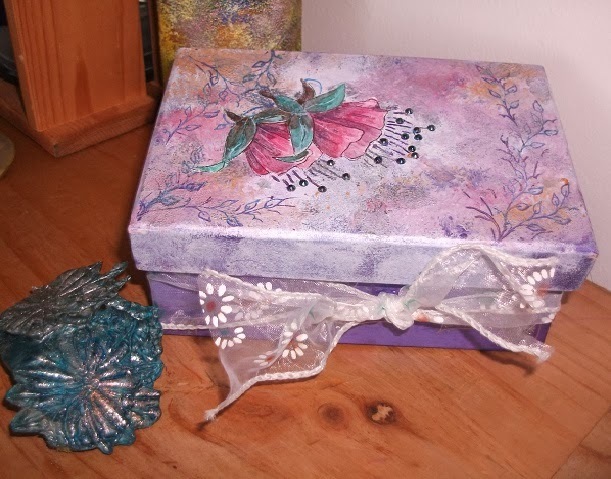 This old gift box was painted with white acrylic paint and purple paint. I stippled a few other colours such as lilac and pink to add interest then stamped images of branches on the top. I also added stippled micas to the top to add a sheen to the box. I then stamped the Fushia stanmp onto white card and painted it with Imagination Craft mica powders. This was then cut out and stuck to the top of the box. To add depth and interest I added some adhesive gems to the flower and a bow round the box to finish. Why not join in one of Imagination Crafts Challenges - click here to be taken to the blog for details. 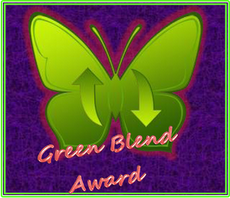 Take a look at the rules and if you use Imagination Crafts products and win there are lots of lovely goodies to choose from with your prize winnings. Fabulous Christine, love these colours. Happy New Year.